Before 1959, three-fourths of Cuba’s arable land was owned by U.S. corporations and citizens. The two nations were so tightly bound that Cuba’s economic policies were practically guided by U.S. interests alone. However, after Dictator Fulgencio Batista was deposed in the 1959 Cuban Revolution, Cuba’s economic relationship with the United States was shattered. As part of a process of nationalization, the new Cuban government seized land and factories owned by foreign companies and Cubans who fled to the United States, and in retaliation, the United States issued a strict embargo that continues to constrain Cuba’s economic potential today. Although diplomatic relations have gradually been re-established over the past several years through environmental agreements and the reopening of both embassies, a number of contentious economic grievances remind both countries of their Cold War past. The first round of talks were held in Havana, Cuba, on December 8, 2015, and while the initial meeting can be considered a positive diplomatic move, it was less of a negotiation than a preliminary discussion to establish the facts and specific demands. The second round, held on July 28-29 of this year, allowed for more substantive debate. The process of negotiations remains ongoing, and both countries seek to “resolve the claims as quickly as possible,” according to a U.S. State Department Official. Although concessions are not the most pressing issue on the table, the settlement of claims is necessary before full normalization of relations, due to the Helms-Burton Act. This 1996 law stipulates that “the satisfactory resolution of property claims…remains an essential condition for the full resumption of economic and diplomatic relations” between Cuba and the United States. According to a Brookings report on the concessions, Helms-Burton “formally wrote into law the linkage between compensation and normalization of relations,” meaning that the United States sought to create a permanent strong-armed policy toward Cuba and legislatively cement the claims. The law is thus indicative of a larger issue at hand; the United States has consistently undermined its own relationship with Cuba through counter-productive policies, which have had vast and long-lasting consequences. The historical and political disputes that surround the issue of claims are so numerous that it is unlikely that substantial progress will be achieved anytime soon. Through an exploration of the nature of the demands and their historical roots in anti-communist ideology, it becomes evident that the United States is primarily responsible for the hostility that remains today. Over 50 years have passed since the Cuban government under Fidel Castro nationalized all foreign-owned assets; nonetheless, hundreds of U.S. companies and individuals have not forgotten about their appropriated possessions and demand that they be compensated for their losses. These assets include personal bank accounts, oil refineries, cattle ranches, and sugar factories. In total, the assets being claimed by the United States amount to approximately $1.9 billion USD at their original value. With a U.S. government-determined six percent simple interest added onto the concessions, this amount has accrued to over $8 billion USD. In addition, outstanding judicial claims against the Cuban government levied by the United States add an additional $2.2 billion USD. Cuba’s 2013 GDP was only $77.15 billion USD, which means that the country’s payment would amount to over thirteen percent of its GDP. Cuba’s counterclaim toward the United States is much broader and focuses on long-term problems rather than a specific event. The Cuban government is asking for $121 billion USD for economic damages, and $181 billion USD for human damages. The total amount, over $300 billion USD, drastically eclipses the United States’ claims of $10.2 billion USD. Though massive, the claims are a telling reflection of the historical damages caused by devastating U.S. policies. 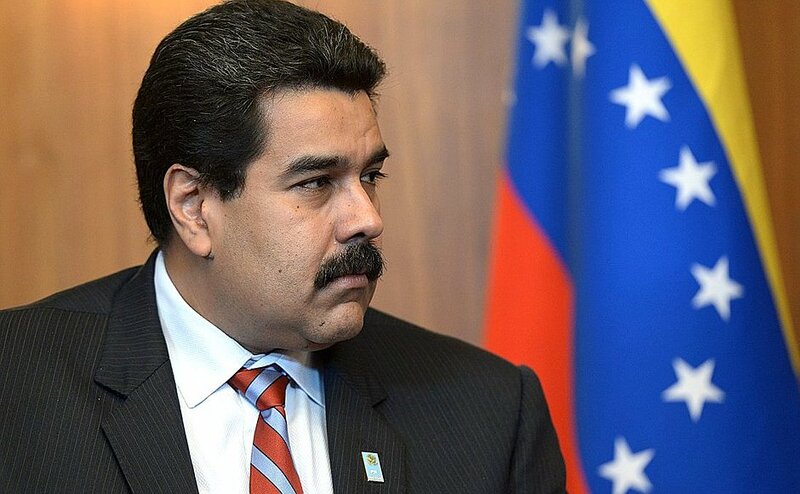 Economically, they address the long-term stagnation, isolation, and developmental damages that the country suffered at the hands of the embargo. Additionally, Cuba seeks to hold the United States accountable for “acts of terrorism” committed in Cuba, including the Bay of Pigs incident and various covert CIA missions that killed thousands of Cuban nationals over the past fifty years. In essence, Cuba is making a bold statement to the United States through their claim: if you seek to hold us accountable, we will do the same to you. 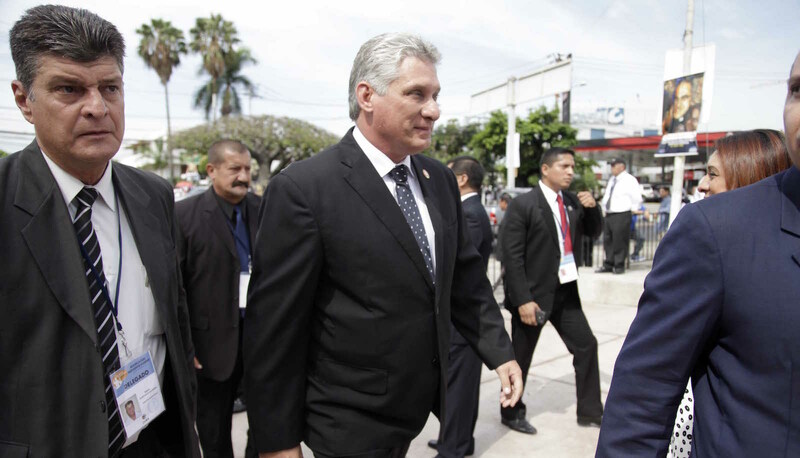 There are several critical issues impeding progress in U.S.-Cuba negotiations. First, the total claims presented by both sides are too high for a mutual settlement. The relative size of the U.S. demands, at 13 percent of Cuba’s annual GDP, means that Cuba is unlikely to be able to pay the full price. Similarly, from a pragmatic standpoint, it is hard to imagine that the United States has any incentive to pay Cuba even a single cent of a $300 billion USD request. Moreover, if either country refuses to negotiate on its demand, then the other will do the same; and an unsettled dispute will remain for both. In theory, the purpose of the negotiations is to revise each side’s demands so that both countries reach a settlement. However, one key hindrance is that the judicial branches of the United States and Cuba have declared their own respective decisions to be legally valid. With both countries’ demands legitimized by the domestic legality of their claims, the demands are unlikely to be modified in the immediate future. On both sides, to lessen the amount demanded would mean depriving someone of compensation that they are legally owed. An additional critical question arises when considering these claims: at what point does the past become the past? Is there a statute of limitations on these events that would render them as part of history, with less specific relevance to the present day? Given the continued level of contention regarding the specific effects of events from fifty years ago, it is likely that the issue of claims will not be forgotten until they are settled. Even as more and more of the claimants pass away, and the companies who lost property cease to exist, the bargaining chip of expropriated land remains vital for justifying the U.S. treatment of Cuba. Yet, just as actors within the United States are unlikely to forget their claims, the Cuban government will undoubtedly continue to press for justice. Finally, straightforward negotiations are made improbable by the implications of reparation. If the United States ultimately compensates Cuba for human and economic damages, then it must also answer to legitimate claims from others across the globe who have been harmed at the hand of U.S. policies. For example, if the United States were to compensate Cuba for human damages, why not also provide reparation toward those who lost their homes during the Iraq War, who have suffered directly from U.S. actions as well? Therefore, the country is extremely unlikely to pay Cuba directly, as to avoid dealing with consequences of other historical wrongs. Through this notion of accountability, a double standard is exposed–while the United States is eager to continue pressing claims when its citizens are the ones who are damaged, Washington is quick to dismiss or deny reparations for anything it may have done wrong. While each roadblock in the negotiation is salient on its own, they can all be traced back to a broader source: the historical and ideological conflict which has defined the present relationship between the United States and Cuba. The overall position of the United States can be largely characterized by ideological stubbornness, and is explained through concurrent historical narratives. During the process of nationalization in Cuba, the United States was not the only country whose citizens and corporations lost property. In fact, Canada, France, Switzerland, and Spain faced similar losses. Yet, these countries established claims agreements with Cuba between 1967 and 1973, and were able to put the issue behind them. Reconciliation was incentivized by the prospects of increased trade in the future, and through their quick settlements, these governments were able to restore relatively positive diplomatic relations and beneficial trade relationships with Cuba. Cuba’s trade with Spain and France drastically increased throughout the 1960s and 70s, and these countries have continually supported Cuba over the United States in regards to the embargo. Although the losses in assets for these nations were less sizeable than for the United States, the lesson of these narratives is clear. Cuba was more than willing to negotiate with other countries for lost property, and the final product reflects an overall beneficial outcome for all parties involved. In fact, the government’s intention for land reform was to create a more equitable Cuba and retain international relationships. In Cuba’s 1959 Agrarian Reform, enacted before the government began nationalizing land, Castro promised that Cuba would compensate the expropriated assets through Cuban bonds, a clear sign that his government sought revolutionary changes but still wished to remain part of the international community. Though the government’s priorities shifted over the next few years, it remains true that Cuba did in fact make an effort to pay back the United States. However, the Eisenhower administration was too uncomfortable to accept the bonds as a secure method of payment. On October 19, 1960, as land reform in Cuba quickly proceeded, the United States government imposed the embargo and in essence declared that it would not support the Castro regime in any manner. The United States was so quick to reject Cuba’s proposal and fully embargo the country that it essentially extinguished the chance for an immediate resolution of the claims. With economic and diplomatic relations pushed aside because of ideological differences, the United States removed any capacity for a timely settlement to occur, even when Cuba would clearly have been a ready partner in negotiation. Through its embargo, the United States entrenched the claims in a Cold War stalemate, ensuring that if the issue would ever be resolvable, it would be completely intertwined with grievances of Cuban economic and human suffering. If the United States had not placed the embargo and subsequently engaged in numerous retaliatory actions, Cuba would have far less to counterclaim–it is solely U.S. retribution that brought about such difficult negotiations today. If it was Cuba who took the first step, it was the United States who began sprinting. If it was Cuba who first broke ground, it was the United States who dug the hole too deep to get out. The escalation of the claims conflict by the United States in 1960 has defined the tense relations more than Cuba’s initial land reform ever could have, and thus the various roadblocks obstructing a speedy negotiation can be attributed to past and present U.S. government policy. However, the current talks nonetheless present an opportunity to redefine this relationship. It is a sign that both sides are finally willing to reflect on their interwoven histories. And at the very least, they’re talking, which is more than can be said for the past fifty years. 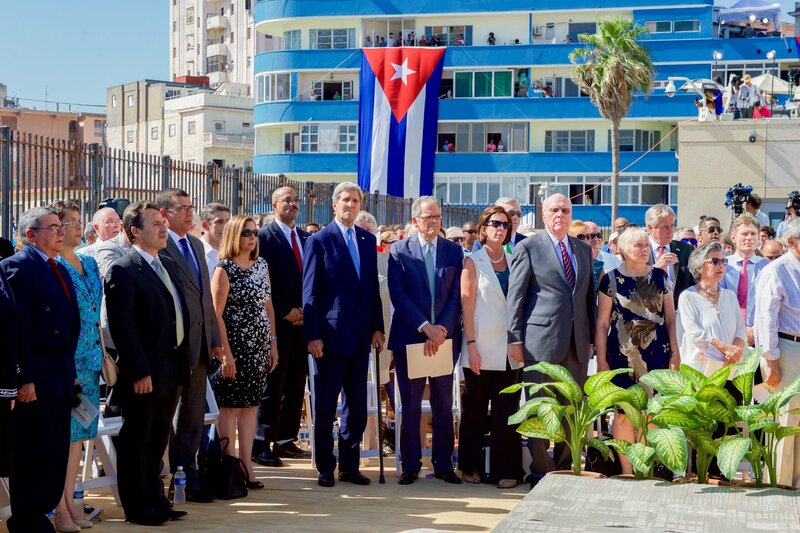 Featured photo: Opening Ceremony of the U.S. Embassy in Havana. Taken from Wikimedia. The US Embargo Against Cuba: Its Impact on Economic and Social Rights.” Amnesty International. Accessed August 8, 2016. http://www.amnestyusa.org/pdfs/amr250072009eng.pdf. Ibid., Chritine L. Quickenden, “Helms-Burton and Canadian-American Relations at the Crossroads: The Need for an Effective, Bilateral Cuban Policy,” American University International Law Review, Vol. 12 no. 4, 1997, http://digitalcommons.wcl.american.edu/cgi/viewcontent.cgi?article=1398&context=auilr.